We believe in training and releasing leaders! As we approach the summer holidays, we are already planning the leaders‘ programme for the Autumn and Spring. This newsletter contains some key dates for your diary. To help put these dates and events into context, I’ve attached a reminder of our training approach for leaders that we believe is lightweight but robust, and is made up of four key elements. 1. Huddle. A monthly commitment of 1.5 hours where we look at issues of discipleship, leadership and life. This is the key forum we have to keep connected and be a place where you get to chew over the values and tools we use as a church, apply them to your own life and get sharpened in leadership and mission. The commitment is to the huddle leader, to the other huddle members (if you’re not there others miss out!) and to a life of discipleship. Please do make sure you’re prioritising this commitment as much as possible. 2. Community of Practice. A twice-yearly Friday evening/Saturday daytime for MSC Leaders where we get a chance to stop, take notice and reflect on how our MSC is going; what God might be saying about future direction and then to plan for the next 6 months. We try to plan these dates to give you enough notice about when the next one is so you can aim to be there. 3. Leaders‘ training evenings. These usually happen once a term and are designed to give us a little boost in-between the Community of Practice to keep us effective as missional leaders. 4. MSC Coaches. 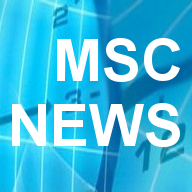 All MSCs have a coach who is there to offer 1-1 support and encouragement to each MSC. They are available however often you wish to meet with them but we recommend having a chat with them at least once a term. They can visit you at a core team meeting or just pop along to an MSC gathering to join in. If you’ve not managed to make it to your huddle very much recently, then now is a great time to ensure that you prioritize these from the Autumn. We don’t want you to miss out on the training that is there for all leaders. If you are having trouble committing to the day or time of your current huddle, then have a chat to your huddle leader, as we may be making some changes to the days and times next term. We want to make this work as well as possible for everyone. Thank you for all you do, we really appreciate you. Kairos just wouldn’t exist without you!! We recognise that not all of you are leading a specific thing within Kairos, some of you are leading in other contexts but we want to invest in and release leaders in all sorts of settings – if you have any ideas of how we could do that better please let us know! It was great to have Rich Robinson and John White from 3dm Europe with us on Tuesday. Over lunch they spent some time with leaders who are interested in our wider network then in the evening they were with MSC leaders. For the evening we asked Rich to explore an issue that feels like its a key breakthrough area for us right now: helping MSCs inhabit social space well. The term “social space” is borrowed from a theory within sociology which identifies different sized groupings that form community. Social space describes the extended-family sized group that we have identified as a missing ingredient in many mission strategies. This is the grouping of between 15 and 40 people that is small enough to care but big enough to dare. The kind of group where everyone can know each others name and a bit about their life, but not so small that joining in would be awkward for a new person. We believe social space is the ideal size for MSCs, but most don’t start at that size. They grow. Rich shared a lot of great thoughts about how to grow a community into social space around 6 Cs. I’m only going to mention 3 here, so if you didn’t make it on the night you’ll have to talk to someone who was, but here are a few of my notes. Context: Good MSCs are clear about the context they are trying to reach. Ask yourself where social space already exists, how could you inhabit that authentically. If there’s nothing there yet what could you build that might serve the context best? Combine: Rich suggested one or more smaller MSC might combine to create something bigger together from time to time. A pair of communities could do this twice a month for a period of time and each end up with a really good social-sized monthly event. This struck me as a really good idea! but I want to offer one health warning, if we just approach this with the mindset of “who can I get to help my MSC grow” then we’ll probable end up frustrated and disappointed. Feel free to invite other MSCs to combine with you but, even better than that, do be thinking about which other MSCs your community might be able to help serve. Celebrate: Churches and communities that learn how to celebrate well are more likely to be attractive to other people. How well does your MSC party? Can you get better at celebration? To those who were at the evening: What particularly struck you from the night. Please leave a comment below to tell us what it prompted in you.